We are delighted that Skool4Kidz’ Campus @ Sengkang Riverside Park is voted by *Greenroofs.com as Top 10 Outstanding Hot Trends in Greenroof & Greenwall Design in 2018. 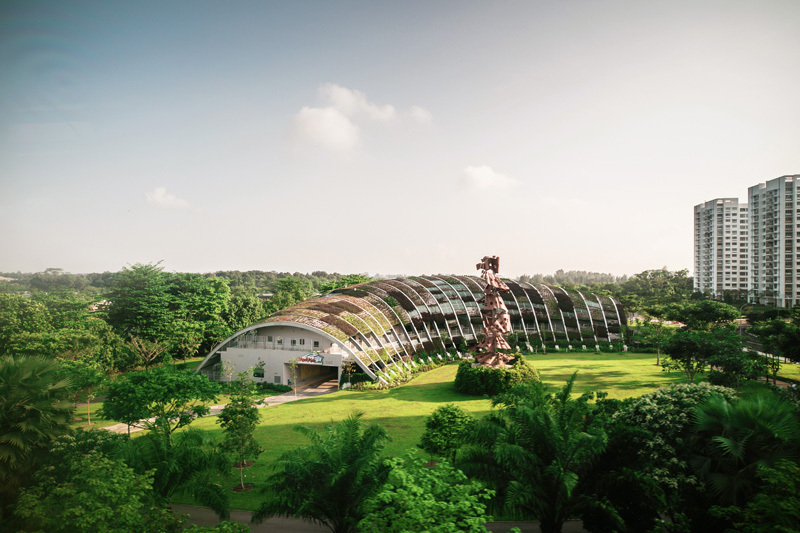 The campus is the first and only project in Singapore that integrates an entire preschool facility into a public park. 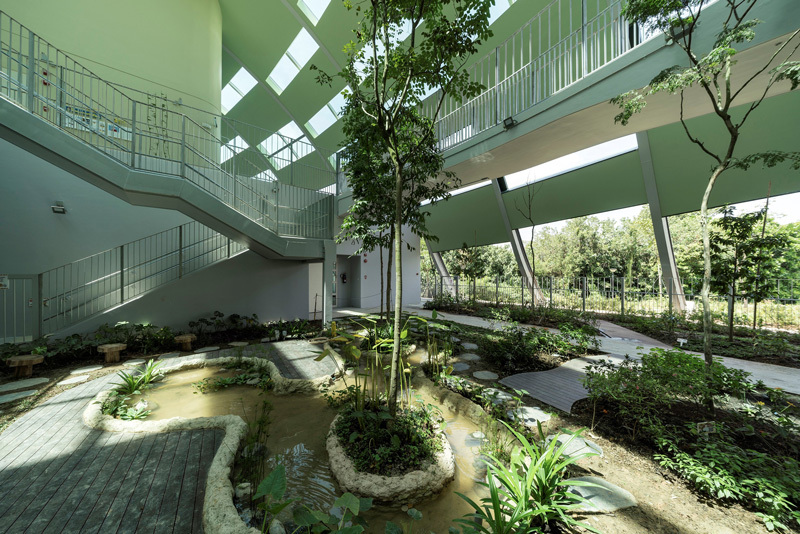 As part of Sengkang Riverside Park, this childcare large centre is designed as a seamless extension of the park’s constructed wetlands and open spaces. Skool4Kidz’ Campus @ Sengkang Riverside Park with its green living roof is designed to blend into its park surroundings. This Skool4Kidz flagship campus is described by Greenroofs.com as “not only an architectural work of art but is imbued with biodiversity, inside and out”. Its beautiful green roof “is designed to thrive year round in Singapore’s tropical weather and encourage healthy and strong, socially-emotionally confident, and environmentally responsible children”. The campus has also been labelled “nature-focused” as it has been designed “to integrate seamlessly into the green surroundings of the park in order to keep the children in touch with nature. This provides them with a safe and nurturing environment for their holistic development”. “Resembling a green cocoon, the 2-story green roof is supported by steel ribs that open up towards the edges, merging into the landscape. Perforated by skylights and left open on the ground and second levels, the structure provides fresh air and dappled natural light indoors’’. The Garden Atrium is an extension of the campus’ greenery, and boasts of various plant species. Planted with different species for the lush landscaping, the Garden Atrium also “houses indoor trees, shrubs, an eco-garden and a sky bridge, and children can learn about different flora and fauna”. *Greenroofs.com is a dynamic interactive website, online media company, vibrant social network, and comprehensive resource Connecting the Planet + Living Architecture promoting People, Projects & Solutions. The two-storey Skool4Kidz Campus @ Sengkang Riverside Park is Singapore’s first large child care centre in a public park, and also Skool4Kidz’ second large-scale child care facility. Completed in February 2018, this centre has a built-up area of 3,900 sqm – almost four times the size of an average child care centre.